Gun control and federal reform of firearm legislation have recently become popular and contentious topics in Washington D.C. and around the country. Yet despite vast public support, none of the legislation proposed by the Obama administration has been enacted. The Obama administration and the several Congresses that have served during his time in office have failed to produce meaningful change in the area of gun control. In many cases, regulations have actually become less restrictive, allowing for easier access to guns and limiting rules governing their use. Several interrelated phenomena help explain why this stagnation occurred during Obama’s presidency. First were the Supreme Court’s decisions that expanded the meaning of the Second Amendment and drove the need for gun regulations. The most influential decision, however, was the Supreme Court’s 2010 ruling in Citizens United v. Federal Election Commission that fueled hundreds of millions of dollars in campaign contributions and helped proliferate political action committees (PACs). This increase in campaign spending and the influence of corporations and political organizations has vastly increased partisanship in Congress. The last several Congresses have failed to enact gun law reforms as a result of this increased partisanship. This paper addresses the importance of a lack of gun control reform legislation, highlights the history of related laws, and explores in detail the series of events that have led to inaction on gun control reform. Why is gun control reform important and why is it relevant now? First and foremost, in comparison to other first world, developed countries, this is a uniquely American issue. The United States is the number one per capita owner of firearms in the world. According to the 2007 Small Arms Report, 88 out of every 100 Americans own at least one firearm.1 The sheer number of individually owned firearms, independent of the effect of those arms, should affirm the need for rules and regulations. To put this in context, there is roughly the same number of cars in the United States as there are guns.2,3 We accept a myriad of rules and regulations related to the ownership and operation of motor vehicles, but lack regulations remotely as robust when it comes to guns. 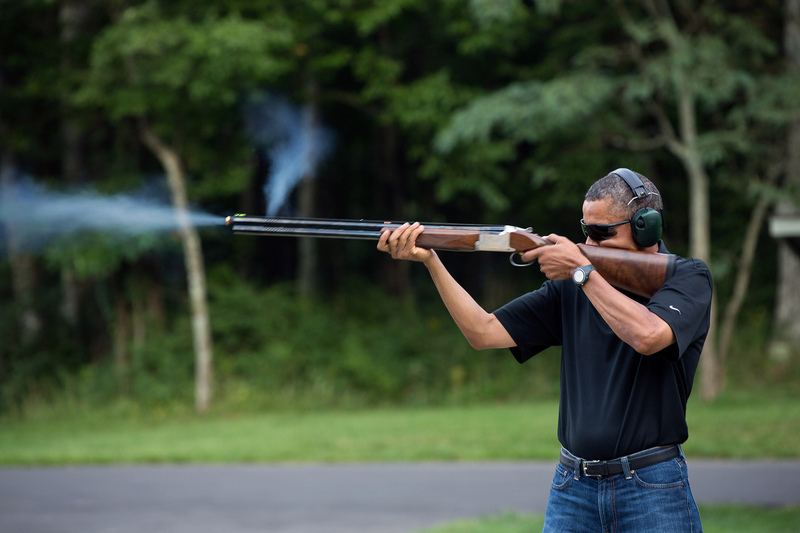 Top: In a widely publicized photograph from August 2012, President Obama showed critics that he knew how to shoot a gun. 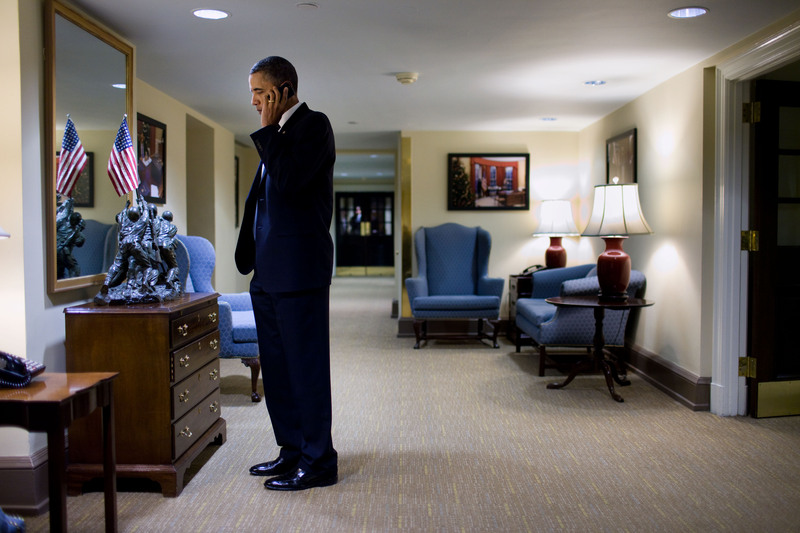 Bottom: In the wake of the shooting of Arizona Representative Gabrielle Giffords, Obama talks with Gov. Jan Brewer outside the Situation Room. Photos: Pete Souza/White House. Continuing the comparison to motor vehicles, according to a Bloomberg News report released in 2012, the number of gun deaths is on pace to exceed traffic fatalities by 2015 for the first time in history. The projections for 2015 (based on 10-year average growth rates) anticipate 32,929 gun-related deaths and 32,036 motor vehicle deaths.5 Without a doubt, these numbers demonstrate the need for rules and regulations as a step towards mitigating further firearm deaths. Violence in America is inextricably linked to firearms. Nearly 60% of all homicides in the United States are committed with a gun. In Finland, another country within the Organization for Economic Cooperation and Development (OECD) that has the third highest gun ownership levels at 45.3 guns per 100 people, only 19% of homicides are committed with a gun.1,6 This indicates that it is highly likely a large percentage of murders could be avoided in the United States if guns were more difficult to access. The reality and devastating effects of guns highlighted above are important reasons for legislative change. Furthermore, the ever-increasing relevancy and salience of the issue dictates an even greater need for reform. Public support for gun control measures is and has been high, presenting a favorable environment for reforms to be enacted. With the prevalence of mass shootings, including those in Newtown, Aurora, and Tucson, gun violence has found increasing airtime on both local and national news. These incidents, combined with other factors, have caused gun control to develop into an even more contentious issue. Despite this, little has been done to address the issue. To better understand why, it is important to first look back at the history of gun legislation in America. There are three major pieces of legislation that regulate firearms in the United States: the National Firearms Act of 1934 (26 U.S.C. 5801), the Gun Control Act of 1968 (18 U.S.C. Chapter 44 S. 921), and the Brady Handgun Violence Prevention Act of 1993. The second major piece of legislation to be enacted was the Gun Control Act (GCA) of 1968. Spurred by the assassinations of Martin Luther King Jr., John F. Kennedy, and Robert Kennedy, this bill expanded regulations for firearms. The law “requires all persons manufacturing, importing, or selling firearms as a business to be federally licensed; prohibits the interstate mail-order sale of all firearms, prohibits interstate sale of handguns generally and sets forth categories of people to whom firearms or ammunition may not be sold, such as persons under a specified age or with criminal records…” among various other provisions.9 This law was a step in the right direction and provides an example of reasonable measures put in place by Congress to stem a serious problem in the United States. The third key piece of legislation pertaining to the regulation of firearms is the Brady Handgun Violence Prevention Act of 1993, which acted as an amendment to the Gun Control Act of 1968. The Brady Act required that all individuals purchasing a weapon from a federally licensed dealer must undergo a background check. The Brady Act does not, however, cover transactions by anyone other than these federally licensed businesses, leaving a substantial number of transactions to continue without a background check. The brief history of firearm legislation highlights an important trend. Each major piece of legislation came about as a proposed solution to serious and devastating gun related events. The National Firearms Act of 1934 arose during a time when criminals and “gangsters” were actively using machine guns and other weapons to terrorize major cities and the public. As a result, Congress passed a law that made accessing those types of weapons more difficult. The Gun Control Act of 1968 was spurred by the assassinations of John F. Kennedy, Robert Kennedy, and Martin Luther King Jr. The murders of these prominent individuals further highlighted the devastating potential of the gun culture in the United States and the importance of addressing the issue. Finally, the Brady Handgun Prevention Act of 1993 was proposed and passed after the assassination attempt on former President Ronald Reagan. The bill bears the name of James Brady, President Reagan’s press secretary who was shot during the incident. Jordan A. Lieberman graduated in 2015 with a Bachelors degree in Business Administration and Political Science from Northeastern University in Boston, MA.